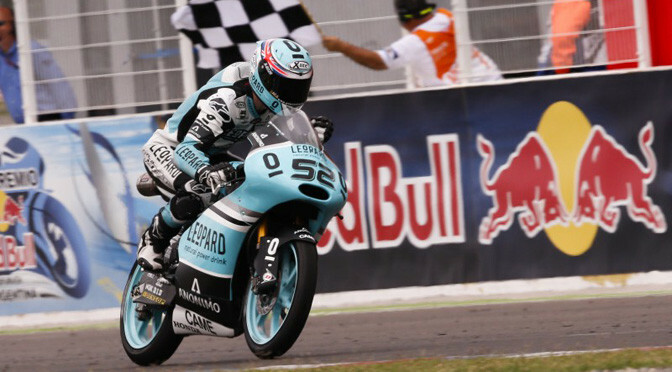 Danny Kent took his first win of the 2015 Moto3 season, and 3rd in his career, as he left the rest of the field for dead in Austin. 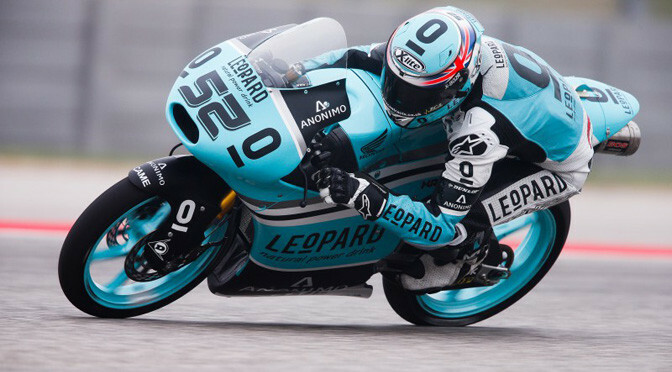 A drying track led to an incident packed Moto3 race, as Leopard Racing’s Danny Kent went on to take a faultless win at the Circuit of The Americas. The British rider, who was over half a second quicker than the rest of the field in Qualifying, got swallowed up by the pack from the start dropping back to 5th. He then set about making his way to the front, taking the lead on the 4th lap, before breaking away unchallenged for the rest of the race to win by over 8.5 seconds. 15-year-old Frenchman Fabio Quartararo (+8.532s) on the Estrella Galicia 0,0 Honda won the battle for second as Alexis Masbou fell at the last corner. Kent’s teammate Efren Vazquez took 3rd ahead of the Gresini Racing Team Moto3 bike of Enea Bastianini, with Honda securing a lock out of the top 4 places. Red Bull KTM Ajo’s Brad Binder finished in 5th, with Scotsman John McPhee on the SAXOPRINT RTG Honda rounding out the top 6. A number of riders crashed as they appeared to be caught out by track conditions, with Bagnaia, Loi, Oliveira, Ono, Antonelli and Navarro amongst those hitting the deck.